Create a new lead in Base CRM when you receive a form submission. Create a new lead (with the lead status of your choosing). Automatically add a note to your new lead with all the submission values. Map form fields to lead and address fields. Navigate to your form, scroll to ‘app sync’, and click connect to add your Base account to the form. 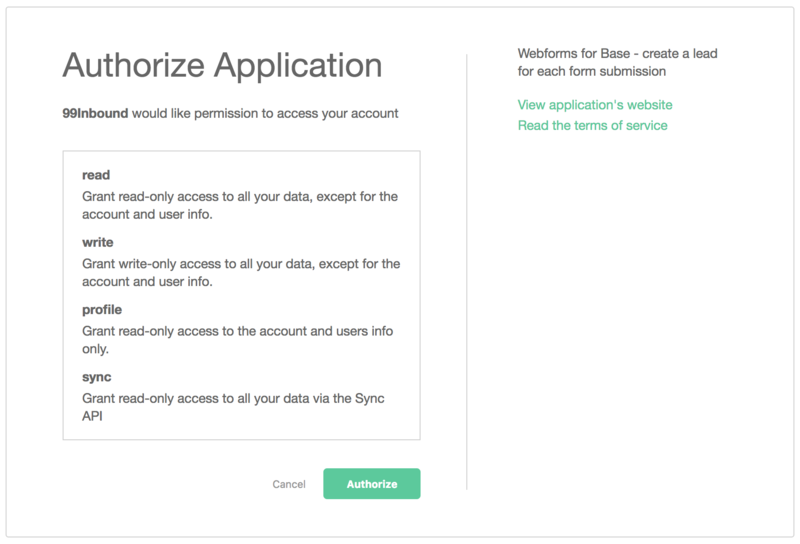 At this point the Base integration will be working, and you can test submitting a few new form entries. By default all new form entries will sync to a mostly empty lead in Base. 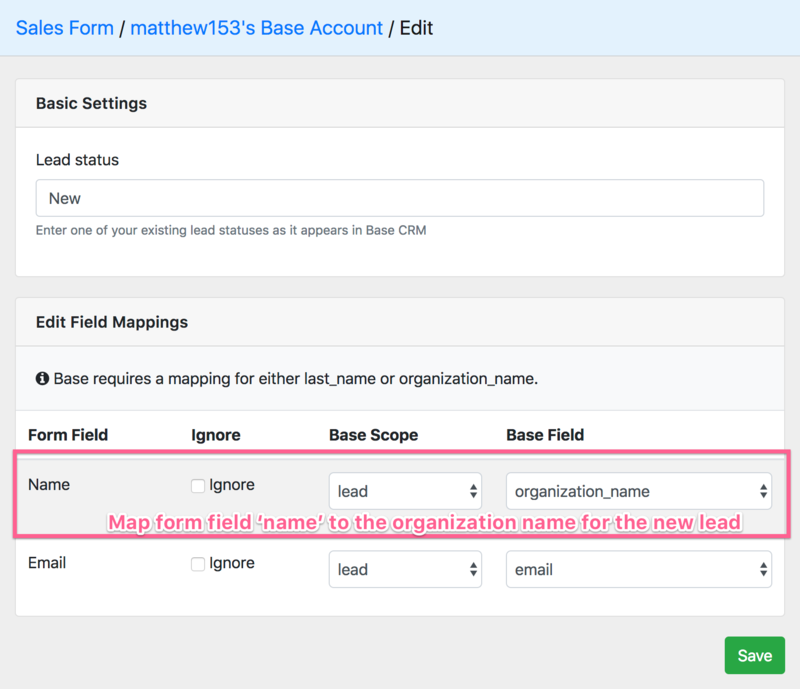 You can map your form fields to Base fields on the configuration screen. Once you’ve saved your configuration its time to test your form! Submit a new entry to your form and watch the new lead appear in Base. 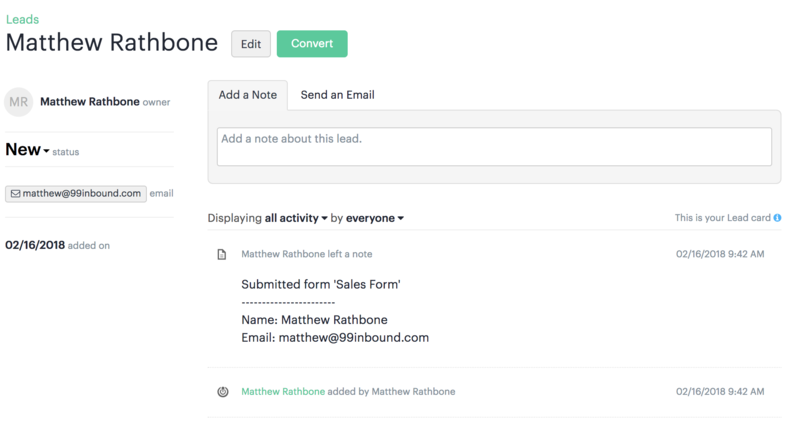 Each lead created by 99Inbound will also include a note with all the form values. So if you haven’t mapped every form field to a lead field you’ll still see everything here. We recommend setting up a notification, to alert your sales staff in real time that they have received a new lead.